Heavyweight stretch fabric wrap-not a tape. Sticks to itself-not your gear. Reusable-leaves no residue. Improves grip in the field. Protects guns ang gear from scratches and dirt. Quiets clanking gear. 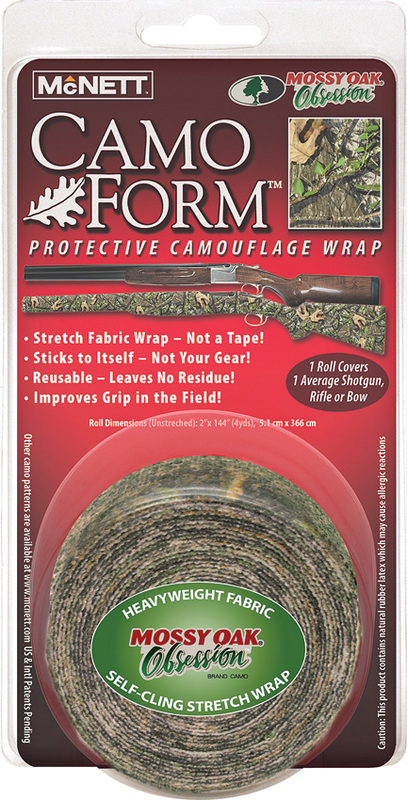 One roll will cover one average shotgun, rifle or bow.